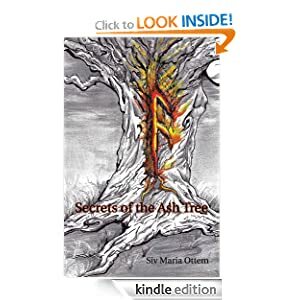 Susan Roebuck: Secrets of the Ash Tree - Loki's here!!! Secrets of the Ash Tree - Loki's here!!! 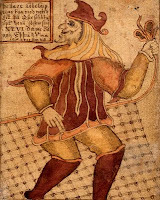 I've been fascinated by Norse tales since I was a child and it was a delight to discover I can continue them as an adult. Reading Secrets of the Ash Tree was like rediscovering old friends yet this tale is darker than the simple ones I used to read. For example, Thor is much deeper than the character I remember who threw a hammer and lightning bolts about. Odin, Freya are fully rounded figures, truly life-like yet inhabiting a world far more colorful than our own and full of raw power. The author does not hold back on the scheming, evil Loki nor on the cruel Frost Giants. Expect to meet an array of malevolent as well as benevolent dwarfs and Nidhogg the dragon. This is a story of the tenacity, sacrifice and courage of a young human girl, and of good versus evil in which the gods struggle to maintain their grip on the world. I thoroughly recommend it to those who love Norse tales. Who's your favorite Norse God? Freya? Odin? Thor (go on, admit it...). Mine's Loki. Now I know he's a prankster and gets up to stuff he shouldn't and probably could destroy the world if he puts his mind to it, but I don't know...somehow he appeals. So I asked him along to the blog (with Siv, of course, so she can protect me) to ask him a couple of questions. Sue: Loki, please don't mess up my blog while you're here--you're going to behave aren't you? Loki: You see… my dear that is exactly the kind of question that makes me want to misbehave! Under no circumstances should anyone try to tell me what to do or not to do. Why do you summon me here Mortal and what do you seek the answers for? Sue: Oh dear, I knew this might not be a good idea. Siv - can you control him while I ask the questions? Thanks. Loki, in The Secrets of the Ash Tree, you really weren't a nice character and you tried everything to stop Liv in her quest. Is this really your personality or do you have a good side? Loki: There is no good side or bad side; there is only Loki’s side. I do whatever I need to do for my own survival. Liv just happened to get in the way. I know nothing about her so called quest and could care less. You stupid humans are always on a quest of some kind. You like to believe it is all about good versus evil…I tell you the one would not exist without the other. Good and evil come together and in all forms. Sue: Fair enough. What's it like being a big fly on the wall sometimes? Loki: I am a shape shifter…A fly or a flea is good cover. You would be surprised at the secrets you can learn by simply hiding in plain sight. Of course there is one disadvantage…getting squashed or drowning in a chalice full of mead, that was no fun at all. Sue: Yes, I can see that would be a problem. Loki, I'm curious about where you live. Can you describe a typical day for you in Valhalla? Loki: Valhalla? That is for Odin, his slain warriors and the Valkyrie. The Norse gods do not reside in Valhalla and I wouldn’t be caught dead in that place if I couldn’t help it...Although, the Valkyrie sure do know how to show a guy a good time. Thank you Loki (*phew* wipes nervous brow as he flies out the window) and Siv for coming to see me today. Good luck Siv with Secrets of the Ash Tree it truly deserves to do well. Visit Siv here: http://sivmaria.blogspot.pt/ where you can also see what Minnie's up to and get right up to date with all things Norse (yum). This post is part of her blog tour. There are giveaways all week long - go for it! Thanks for taking the risk of having Loki at your blog. Was a bit spooky having him as a travel companion :) Glad you liked the interview Melissa. There is only Loki's side - I believe it! Yay! The book is here. Great interview, a flea, huh - yeah, sometimes I'd like to a flea so I could listen in. But then I remember the few times I have overheard and the sadness that usually results. Sometimes it's best not to know, unless your like Loki and can do something about it, then again, he hurts too many folks and makes lots of mistakes too! Being ignorant isn't so bad, really! Just to let you know I started the book, The crimson petal and the whit just finished part I.
It’s so big! It hurts to hold it— I haven’t had the nerve to see how many pages it is. So for whatever reason I am enjoying it and damned if I know why. First of all is 3red pov omniscient which is difficult to read and even though it takes place in one of my fav periods, it doesn’t seem like it. The author keeps throwing in modern language which is confusing. But the characters must have caught my attention — Sugar and William— as I do think about them during the day. I usually read only at night before bed.